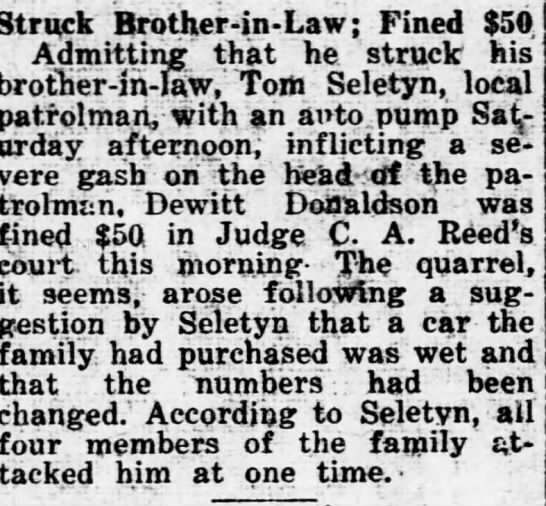 08Aug1902 The Scranton Republican – court case where someone yells “scab” and Joe Seletyn gets arrested. 18Jun1903 we find Joe Seletyn arrested for being a vagrant. Article in The Scranton Republican. 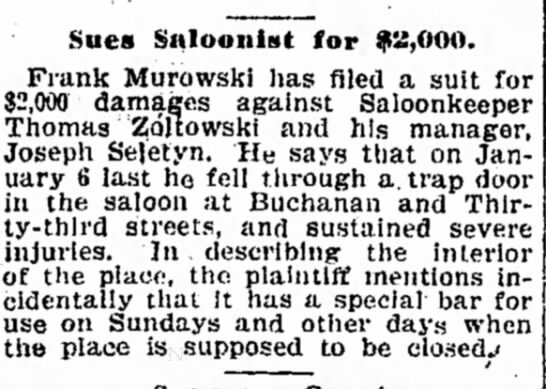 12Jan1906 we find an article in the Detroit Free Press where Joe is managing a saloon that gets sued. I found not articles after that (in a quick search). I will drill down on Joe and see how our lines are tied and what ended up becoming of him. 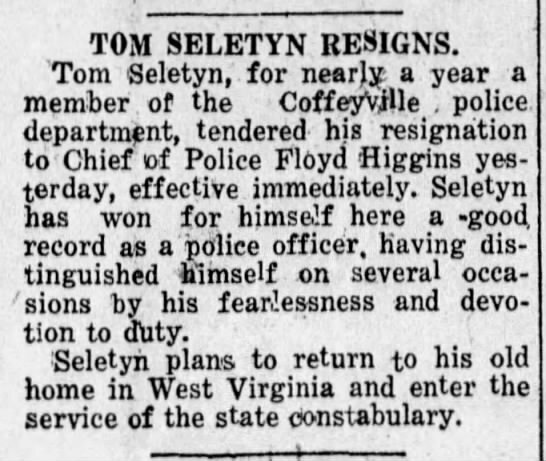 08May1922 The Coffeyville Daily Journal tells the tale of Tom’s downfall and the possibility that his brother-in-law was a dirty cop. Tom Seletyn will be a new project for me. I want to find his connection to Daddy and clip all of the patrolman articles and try to dig through the Fayette County history paperwork to see how his life played out. What a fun genealogical morning!